It’s every pet owner’s nightmare, all of a sudden your beloved furry friend has started to chew and scratch intensely, under attack from the dreaded flea. These infuriating parasites can truly send you and your pets into quite the tizzy, leaving you frantically searching for a solution which will bring relief from the flea menace. When under siege from fleas, many people will automatically reach for chemical and pesticide products to eliminate these pests in quick time. But there are also those of us who are not comfortable with the use of harsh chemicals in the home or on our pets. Fortunately, you don’t have to use these potentially harmful flea killers if you don't want to. There are many natural ways to battle fleas, one of which is vinegar. 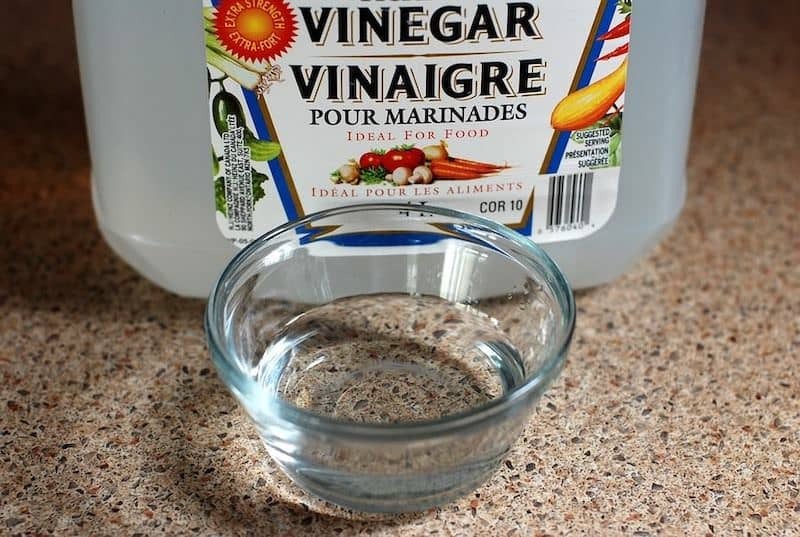 This article explains how to use vinegar to kill fleas in your home once and for all. Will Vinegar Kill Flea Eggs? How to Use Vinegar Against Fleas? Vinegar has been used for thousands of years throughout civilizations due to its health-boosting properties and culinary uses. It’s made up of acetic acid, water, vitamins, minerals, enzymes, and fiber. It is produced from fruits and grains that are high in sugar, and then fermented to manufacture ethanol alcohol. Anything which contains ethanol can be used to produce vinegar; such as wine, beer, and cider. The fermentation process is undertaken by bacteria, which break down the ethanol into a number of different byproducts which include acetic acid. It is this acid which is the defining aspect of all vinegars. Pasteurized vinegars have been subjected to high temperatures to destroy the bacterial cultures that can leave a slimy, cobweb-like mass in the vinegar. The majority of vinegars you can find in stores have been pasteurized. This isn’t because it’s dangerous, it is simply because many people find it unattractive and off-putting. It is possible to find raw vinegars which still have this “mother culture” in health food stores. Some believe that the inclusion of this culture increases the health benefits and effectiveness of the vinegar for household purposes. Popular types of vinegar for health and home are white vinegar and apple cider vinegar. The fleas which you have spotted leaping across the room and making your beloved pet scratch are adult fleas. Even though you may see them landing on your arm or taking a bite out of your ankle, adult fleas choose to remain on their animal host for their entire adult lives. If they’re biting you, it’s because they have been dislodged from your pet, or you’re the only animal in the vicinity to feed upon. Fleas must have a blood meal regularly throughout the day to stay alive and be fertile enough to breed. While some people believe that vinegar can kill fleas, this is unfortunately not true. However, fleas do intensely despise the taste and smell of vinegar and will avoid it wherever they can. 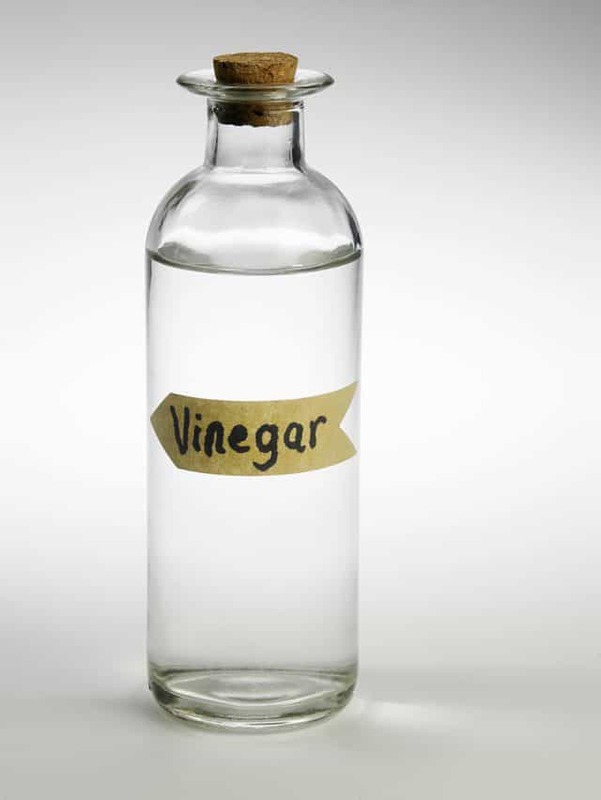 Therefore, vinegar is an effective flea repellent, but it doesn’t kill fleas on contact. However, once fleas are exposed to vinegar, they will try to escape from the unpleasant smell by leaving the host animal as soon as possible. This in itself is an effective way to indirectly kill fleas, as they are denied a source of blood nutrition and will quickly starve. As we have seen, vinegar cannot directly kill fleas. Unfortunately, contrary to what you may have read, the same applies to flea eggs. But this is not to say that vinegar isn’t effective in eliminating flea eggs indirectly. Vinegar effectively repels adult fleas from a host, which directly impacts their fertility and the rate the population can expand. Fleas are “anautogenous” insects, which means they require food before they’re able to breed. If a flea hasn’t consumed blood in the last 24 hours, they will not try to mate, as they are no longer fertile. If female fleas have already started to lay eggs when they are repelled from the host, they will die very quickly. The metabolic rate of female flea changes once she begins to produce eggs. She must feed continually to sustain this higher metabolic rate, so if she is repelled from her food source, she becomes infertile and will perish within a few days. This actively impacts the number of flea eggs in your home and on your pet. In some cases, once fleas are repelled from their animal host, they will start to bite people in the home to avoid starvation. While human blood can keep a flea alive, they are unable to reproduce effectively. Human blood does not support optimum flea fertility, so the use of vinegar can drastically reduce the expansion of the flea population. Fleas, their eggs, and larvae are well-practiced at hiding themselves away in your carpets, upholstery, and among your pet's fur. In some cases, it can be months before you realize that you have these unwelcome guests in your home. Flea larvae and pupae can remain in a suspended state if the conditions outside are not conducive to survival. The vast majority of the flea population in your home will not be living on your pet. It is only the adult fleas which reside on a host. For the other stages of their life cycle, they stay hidden in the environment. Therefore, to effectively destroy fleas, you will need to treat your home and your pet, otherwise you will not get any relief from these nasty pests. 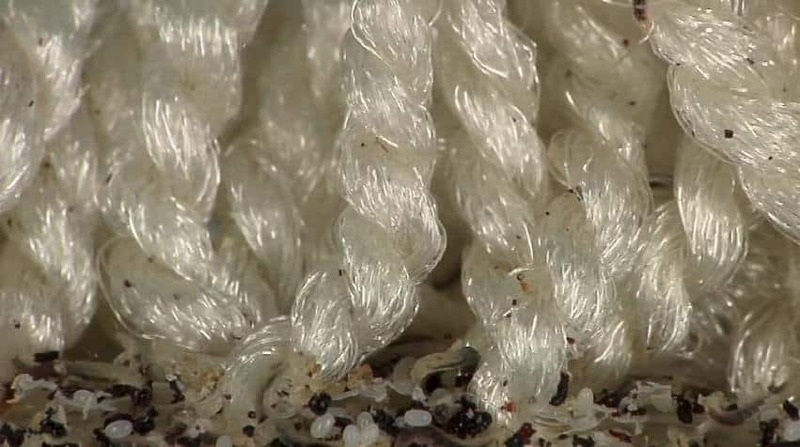 Carpets and rugs in the home are the prime places for lurking flea eggs, larvae and pupae. 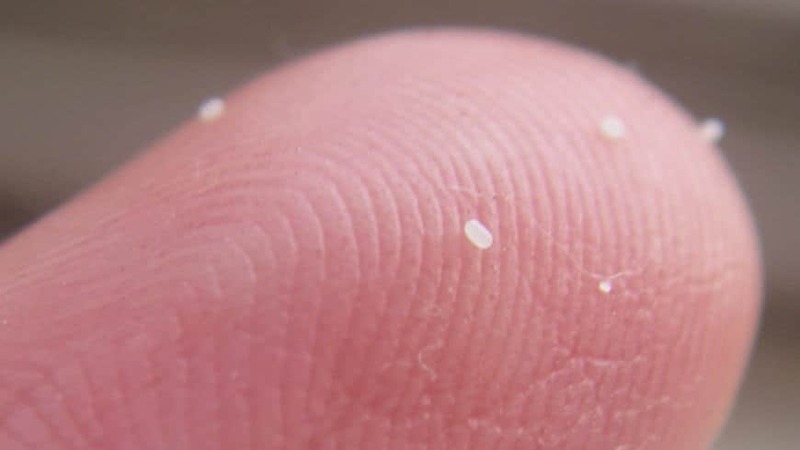 The eggs fall from your pet’s fur into the fibers, where they stay hidden until they have developed into adult fleas. If you have hardwood or stone floors, they will be nestled into the cracks, waiting to give you a nasty surprise. A vinegar flea bath is a great way to remove fleas from your pet and prevent them from taking up residence again any time soon. If your pet isn’t cooperating with the flea bath method, you can use a vinegar spray instead. This can be used on their fur, as well as within the home, to repel fleas. This method requires the same solution, but will be used to treat the home, rather than your pet. Check the reaction on your fabrics with a small patch test somewhere hidden before spraying all over. As we have seen, vinegar is an effective, safe, and natural way to battle fleas in the home and on your pet. The next time flea season is upon us, you can use our suggested methods to kill fleas with vinegar, instead of resorting to chemical products which can pose risks to you and your pet. Although the vinegar doesn’t kill fleas, by using it to repel the fleas, it will go some way towards making your pets healthy, happy, and most importantly, flea-free.